Some of you might have noticed this, but the pictures of the Maruyama new living room have been out on the website! If you haven’t checked that out, please go to “HOME” or “HOUSE LIST” to take a look at this brand new common space. What do you think about the new living room? It is more modern looking and stylish, don’t you think? It’s clean, useful, and it’s actually very comfortable with some well designed features. 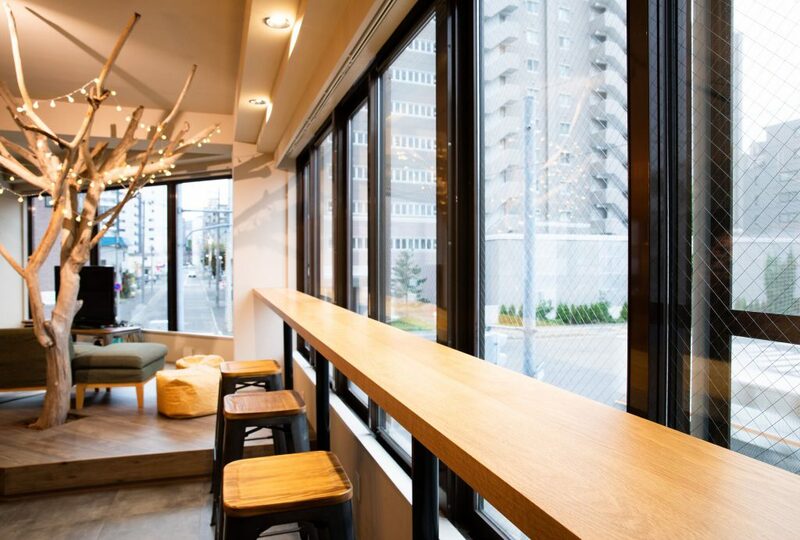 For example, the working space by the windows is the perfect place to do some work or studying done. 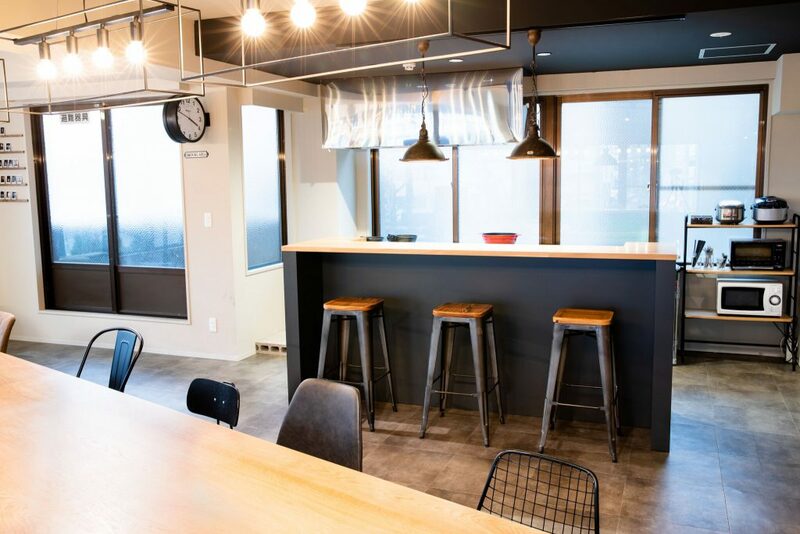 This area makes you feel like you are in a café (Japanese people do work in a café as a culture for your information), so it is a perfect place to do that with some coffee or tea. 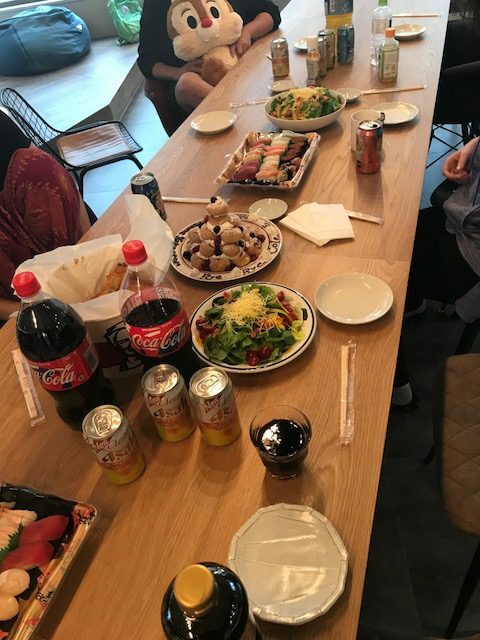 And this long table in the middle has outlets, so you can bring your laptop, and do some work while chatting with other residents feeling relaxed. It seems like those designs were taken into the consideration since a lot of the residents here work and study at home, and it has been very useful. At the end of the day, you get tired, you want to chill and maybe unwind yourself. The counter and the area in front of the TV are the places. Those areas are a nice place to eat dinner with some wine or your favorite drink of choice and talk about the day and how it was with residents. 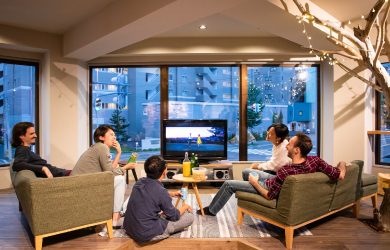 In this living room, the new history of Maruyama is created, and the residents are making their own ones with precious memory and experience of their lives. Please come look around our share house if you are interested.